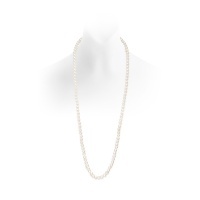 Long necklaces with strands of lustrous pearls can be worn long and knotted in twenties style or layered with chains and gemstones for a more contemporary and casual look. 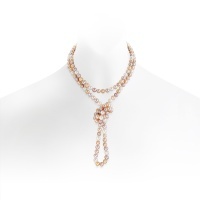 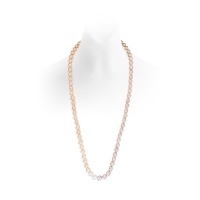 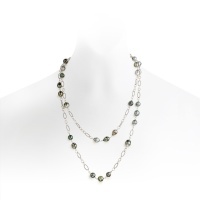 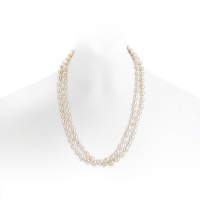 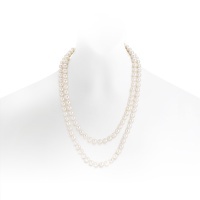 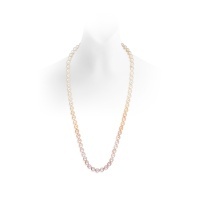 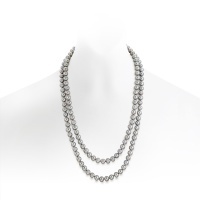 Always in fashion, the rope pearl necklace is understandably one of our most versatile and popular pieces of jewellery. 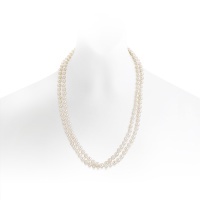 Our pearl necklaces are strung by hand with a high quality Japanese thread and are available in a variety of different lengths, with pearl sizes between 6 and 10mm in diameter being the most easy to wear. Most of these necklaces can also be easily matched to a pearl bracelet or strung to a particular length to suit your own preference.